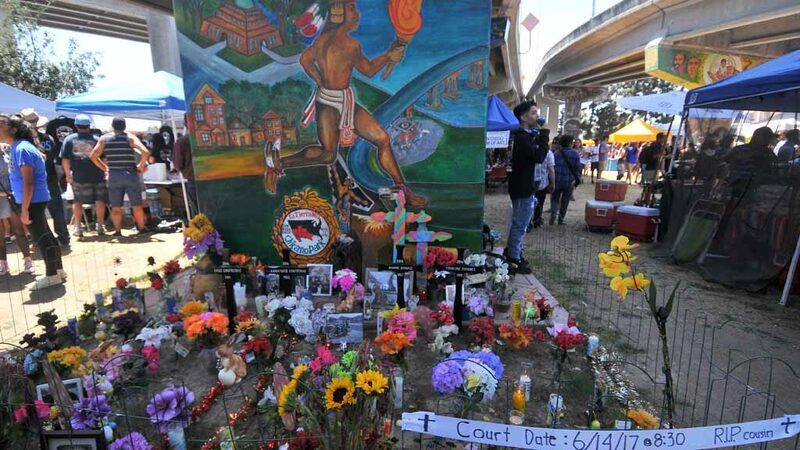 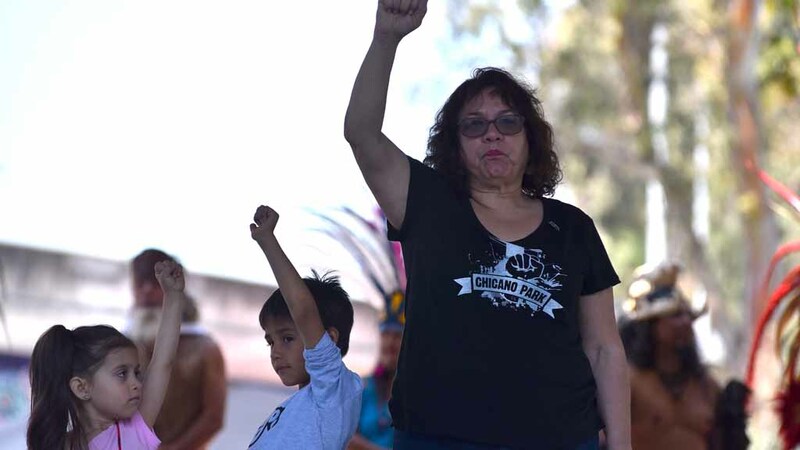 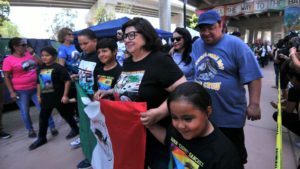 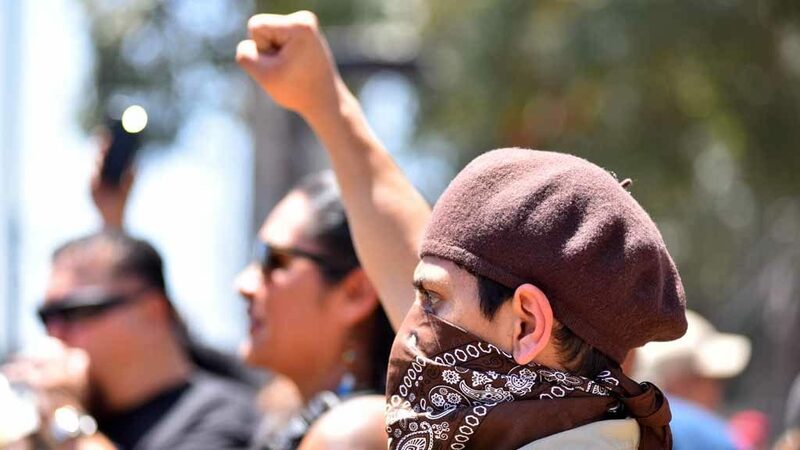 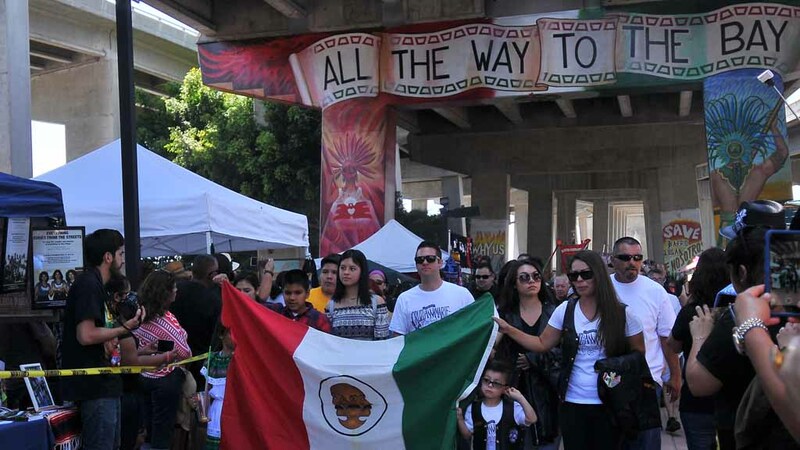 Thousands gathered Saturday in Chicano Park to celebrate the park and pay tribute to the late Chicano leader and musician Ramon “Chunky” Sanchez at the 47th annual Chicano Park Day. 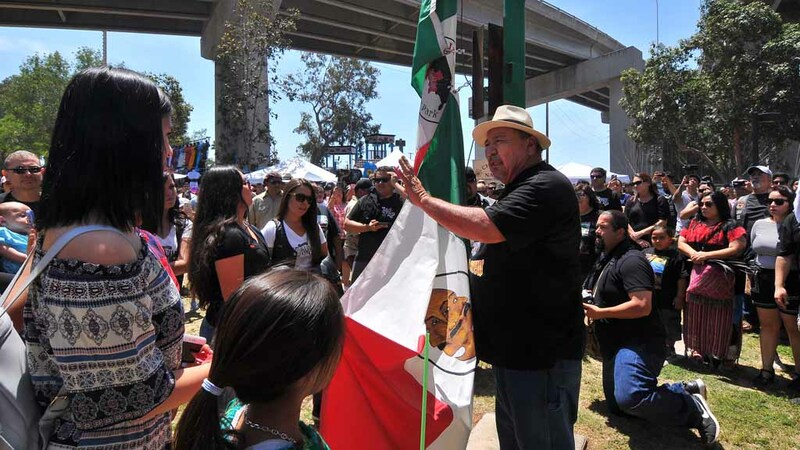 With the theme “Ramón Chunky Sánchez: El Corazón Del Pueblo,” family members raised a flag and fists to pay respect to Sanchez, who died in October, two days before his 65th birthday. 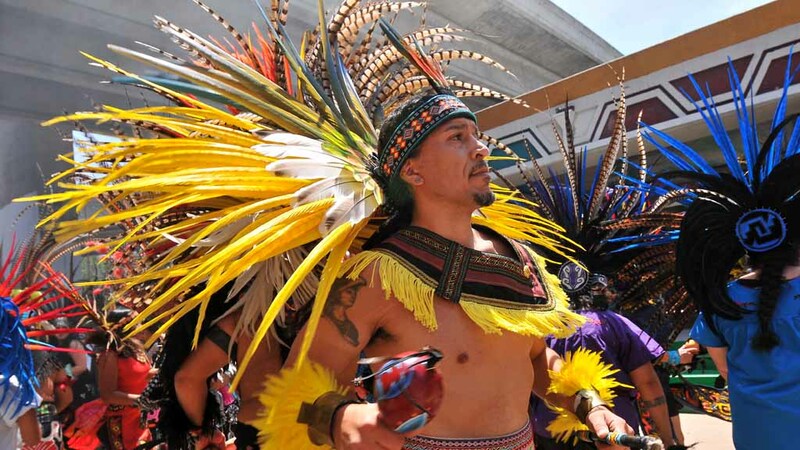 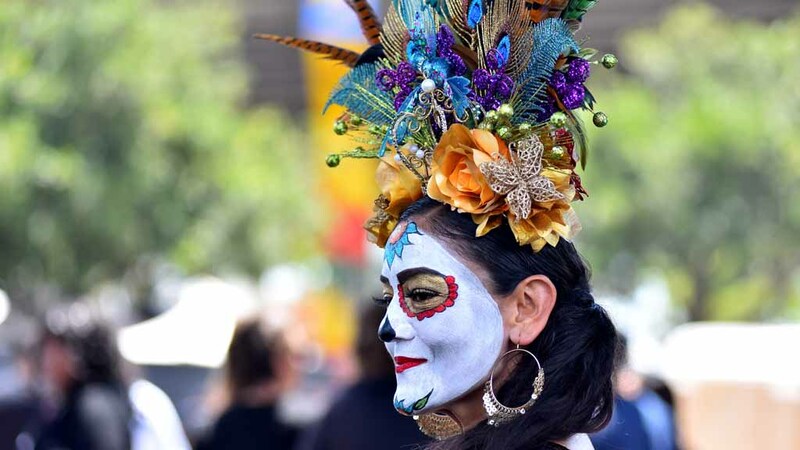 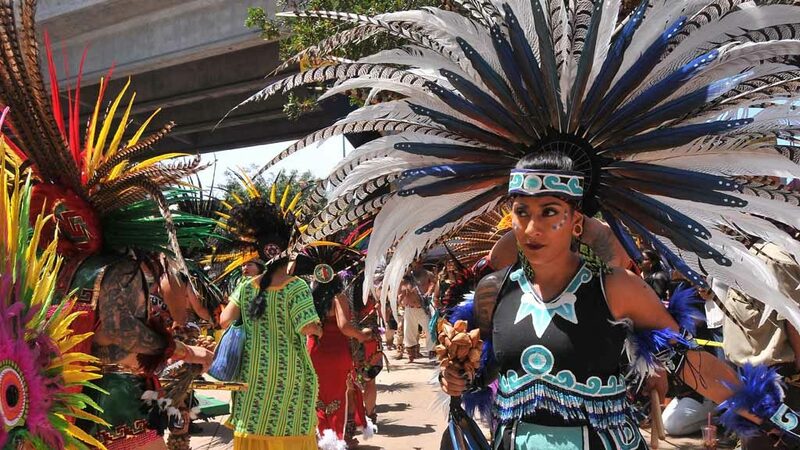 The celebration of the park that was established in 1970 included Ballet Folklorico Yaqui and Nanahuatzin, Danza Azteca, performances by Mujeres en Resistencia and Los Chinelos de Morelos. 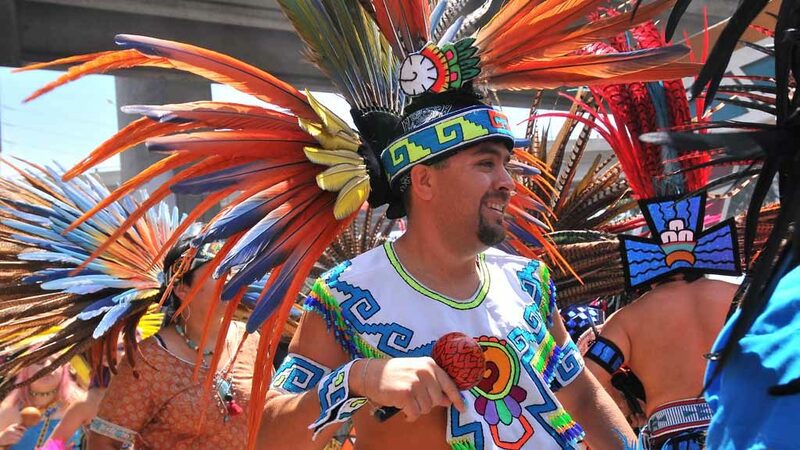 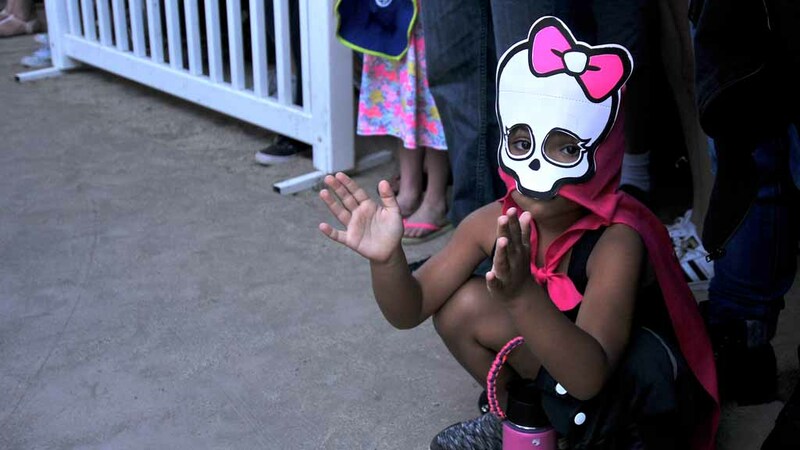 Music was performed by groups including Village K.O.R.E., Grupo Folklorico Psion a Mexico, Los FabuLocos, Ruby Clouds, and Ballet Folklorico CalifAzztlan. 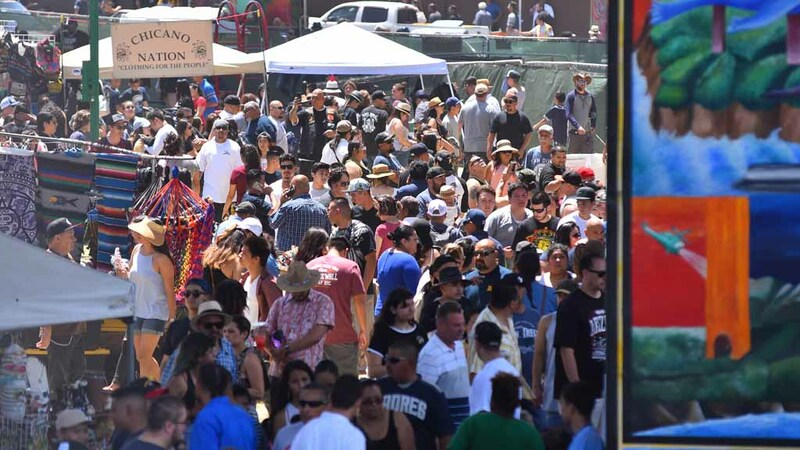 In addition, food and merchandise booths filled the park, which was filled with extended families. 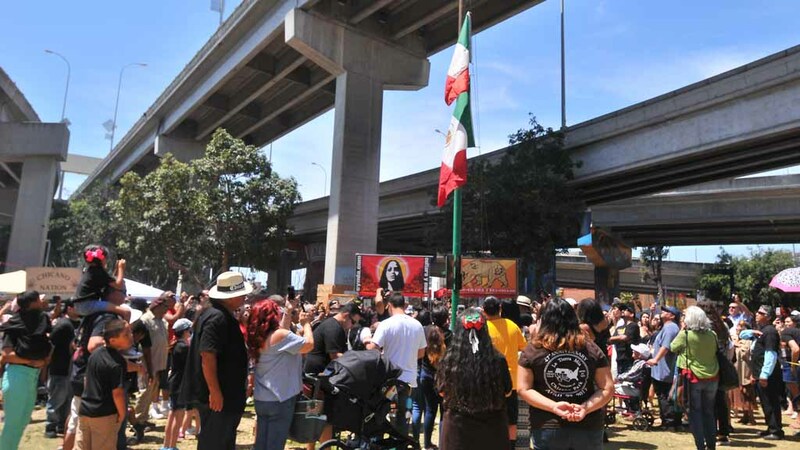 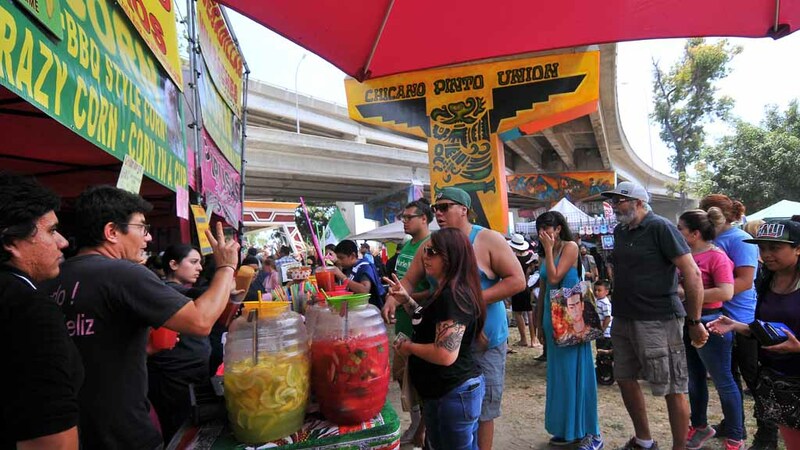 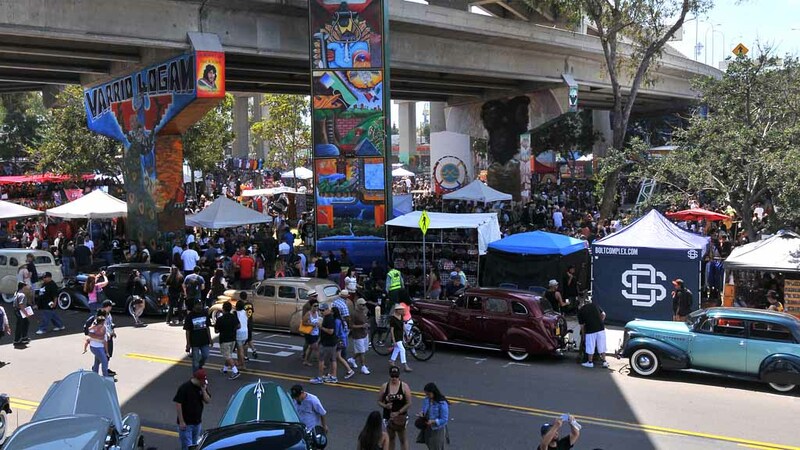 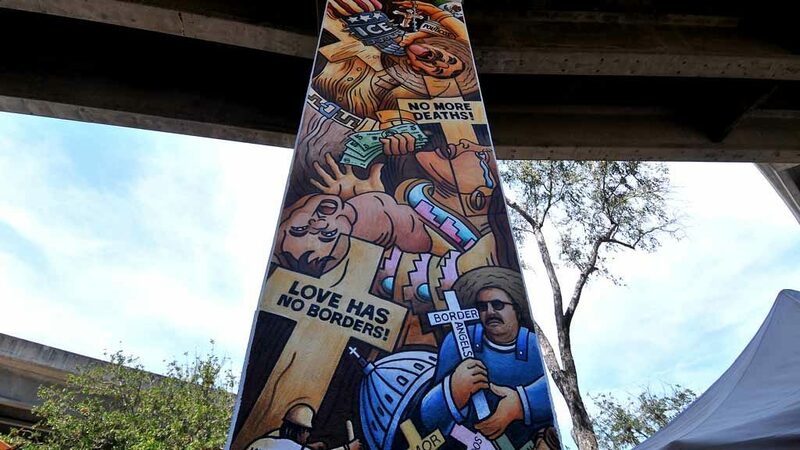 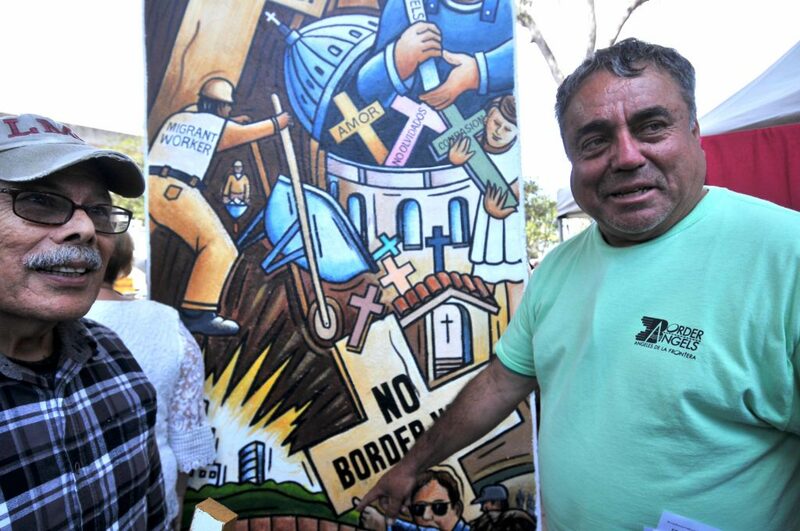 Chicano Park has received international recognition as a major public art site for its colorful mural paintings of the past and present struggle of Mexican and Chicano history. 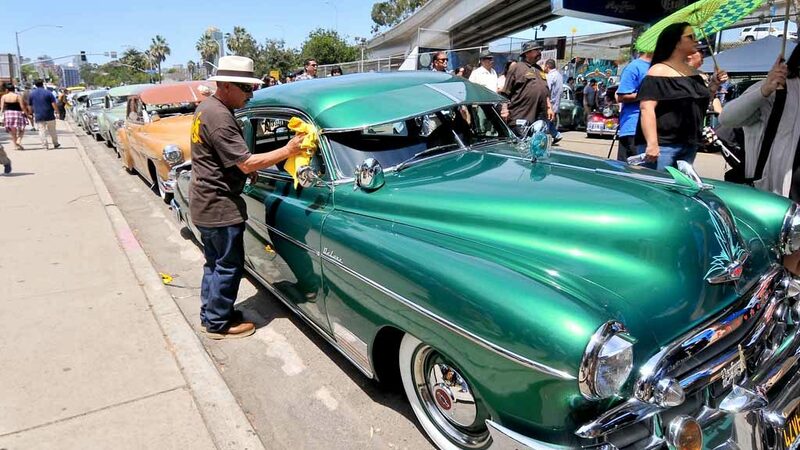 Amigos Car Club organized the car show on the adjacent street.